The world is going to hell in a hand basket, and Americans are finally worrying about it. Before all you climate action advocates out there shout “finally” or “I’m with stupid,” there’s a lot to worry about that worry. 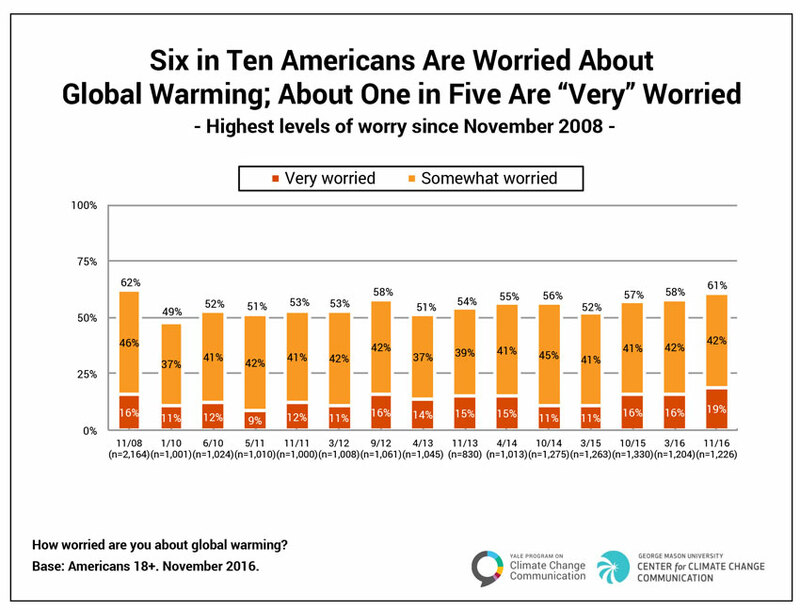 And I’m not talking about the fact that the report also shows only 15% of Americans understand that 90% of climate scientists are convinced that human-caused global warming is happening. 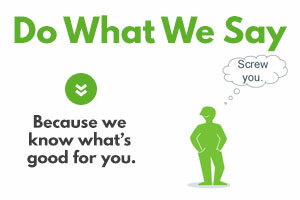 That’s why here at Marketing for Change, we’re more interested in the other emotions people reported feeling in the Yale / George Mason report. 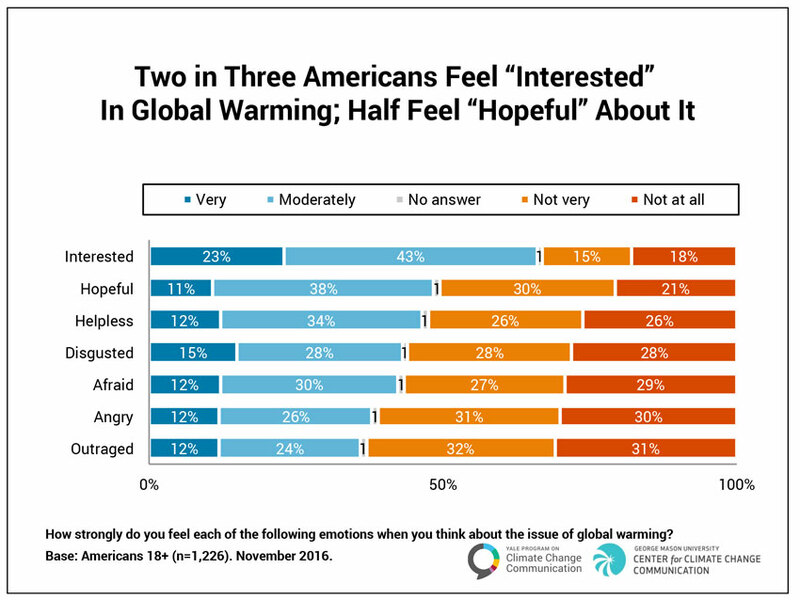 Those top two emotions folks are feeling about climate change right now — interest and hope — give behavior change marketers a lot to work with. Especially since, as we reported in this blog recently, intuitive or emotional thinking drives 95% of human decision making. Working with hope was exactly what former Maryland governor Martin O’Malley was peddling last week as he gave a keynote speech at the Ready for Anything Sustainability Symposium in Orlando. “We need a better story,” he told a crowd that ranged from pony-tailed tree huggers to suit-and-tie LEED building experts, noting that despair feeds into the narrative of climate deniers. “As our problems are man and woman created, so too will be our solutions. 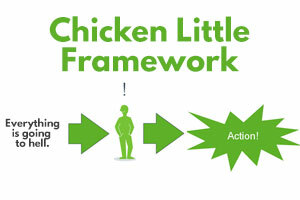 Because don’t forget what happened to Chicken Little in that age-old folk tale: he got eaten by the Fox.